Match ends, Junior 2, Rionegro Águilas 2. 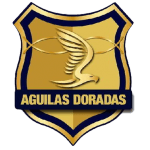 Second Half ends, Junior 2, Rionegro Águilas 2. Foul by Teófilo Gutiérrez (Junior). Fernei Ibargüen (Rionegro Águilas) wins a free kick in the defensive half. Delay in match Denis Gómez (Rionegro Águilas) because of an injury. Goal! Junior 2, Rionegro Águilas 2. 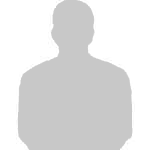 Johan Jiménez (Rionegro Águilas) left footed shot from the centre of the box to the top left corner. Assisted by Fabián Viáfara following a set piece situation. Daniel Muñoz (Rionegro Águilas) wins a free kick in the attacking half. Roque Cardozo (Rionegro Águilas) wins a free kick in the defensive half. Attempt saved. Sebastián Hernández (Junior) right footed shot from the centre of the box is saved in the top centre of the goal. Assisted by Víctor Cantillo. Foul by Rivaldo Correa (Rionegro Águilas). Teófilo Gutiérrez (Junior) wins a free kick on the left wing. Foul by Fabián Viáfara (Rionegro Águilas). Substitution, Rionegro Águilas. Johan Jiménez replaces Luis Chará. Foul by Germán Gutiérrez (Junior). Fabián Viáfara (Rionegro Águilas) wins a free kick in the defensive half. Goal! 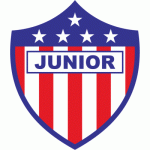 Junior 2, Rionegro Águilas 1. Teófilo Gutiérrez (Junior) right footed shot from the centre of the box to the bottom right corner. Assisted by Yimmi Chará. Attempt saved. Jonathan Ávila (Junior) right footed shot from outside the box is saved in the bottom right corner. Teófilo Gutiérrez (Junior) wins a free kick in the attacking half. Foul by Fernei Ibargüen (Rionegro Águilas). Foul by Harold Rivera (Rionegro Águilas). Álvaro Angulo (Rionegro Águilas) wins a free kick on the left wing. Foul by Jonathan Ávila (Junior). Attempt missed. Luis Díaz (Junior) right footed shot from the centre of the box misses to the right. Assisted by Leonardo Pico. Substitution, Rionegro Águilas. Fabián Viáfara replaces Daniel Hernández. Attempt missed. Víctor Cantillo (Junior) right footed shot from outside the box misses to the left. Assisted by Yimmi Chará. Foul by Sebastián Hernández (Junior). Denis Gómez (Rionegro Águilas) wins a free kick in the defensive half. Substitution, Junior. Sebastián Hernández replaces Yony González. Rafael Pérez (Junior) is shown the yellow card for a bad foul. Rivaldo Correa (Rionegro Águilas) wins a free kick on the right wing. Foul by Jesús Murillo (Junior). John Restrepo (Rionegro Águilas) is shown the yellow card. Attempt missed. Jesús Murillo (Junior) right footed shot from the right side of the box is close, but misses to the right. Assisted by Teófilo Gutiérrez following a set piece situation. Yimmi Chará (Junior) wins a free kick on the right wing. Foul by Álvaro Angulo (Rionegro Águilas). Germán Gutiérrez (Junior) wins a free kick in the defensive half. Delay in match Roque Cardozo (Rionegro Águilas) because of an injury. Attempt missed. Yony González (Junior) right footed shot from outside the box is close, but misses to the right. Assisted by Luis Díaz following a fast break. Corner, Rionegro Águilas. Conceded by Rafael Pérez. Attempt missed. Luis Díaz (Junior) right footed shot from outside the box is too high from a direct free kick. Fernei Ibargüen (Rionegro Águilas) is shown the yellow card for a bad foul. Yony González (Junior) wins a free kick in the attacking half. Substitution, Junior. Luis Díaz replaces Jarlan Barrera. Foul by Leonardo Pico (Junior). Denis Gómez (Rionegro Águilas) wins a free kick in the attacking half. Attempt saved. Jarlan Barrera (Junior) left footed shot from the right side of the box is saved in the bottom right corner. Assisted by Teófilo Gutiérrez. Corner, Junior. Conceded by Fernei Ibargüen. Corner, Junior. 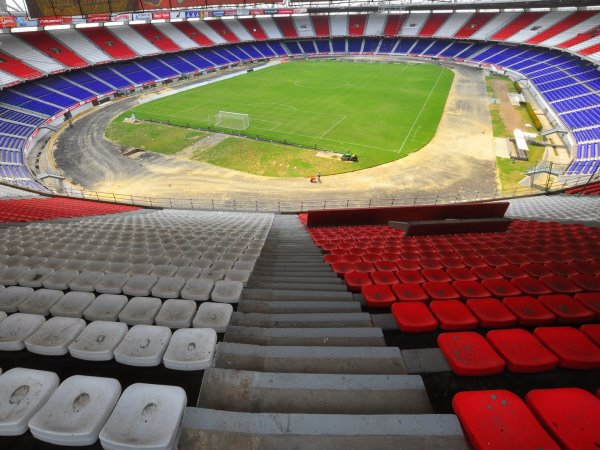 Conceded by Roque Cardozo. Corner, Junior. Conceded by Daniel Muñoz. Attempt blocked. Harold Rivera (Rionegro Águilas) left footed shot from outside the box is blocked. Assisted by Rivaldo Correa. John Restrepo (Rionegro Águilas) wins a free kick in the attacking half. Foul by Yony González (Junior). Substitution, Rionegro Águilas. Harold Rivera replaces Cristián Maidana. Second Half begins Junior 1, Rionegro Águilas 1. First Half ends, Junior 1, Rionegro Águilas 1. Goal! Junior 1, Rionegro Águilas 1. Daniel Hernández (Rionegro Águilas) converts the penalty with a left footed shot to the bottom left corner. Penalty conceded by Rafael Pérez (Junior) after a foul in the penalty area. Penalty Rionegro Águilas. Rivaldo Correa draws a foul in the penalty area. Foul by Yimmi Chará (Junior). Goal! Junior 1, Rionegro Águilas 0. Yimmi Chará (Junior) header from the left side of the six yard box to the bottom left corner. Attempt blocked. Yimmi Chará (Junior) left footed shot from the centre of the box is blocked. Assisted by Teófilo Gutiérrez. Attempt missed. Rivaldo Correa (Rionegro Águilas) right footed shot from outside the box is high and wide to the left. Assisted by Luis Chará. Attempt missed. Yony González (Junior) right footed shot from outside the box is high and wide to the right. Assisted by Teófilo Gutiérrez. Rivaldo Correa (Rionegro Águilas) wins a free kick in the defensive half. Offside, Junior. Jarlan Barrera tries a through ball, but Jesús Murillo is caught offside. Corner, Junior. Conceded by Daniel Hernández. Attempt missed. Daniel Hernández (Rionegro Águilas) left footed shot from outside the box misses to the right. Assisted by Cristián Maidana. Denis Gómez (Rionegro Águilas) wins a free kick on the left wing. Corner, Junior. Conceded by Juan Camilo Pérez. Daniel Muñoz (Rionegro Águilas) is shown the yellow card for a bad foul. Yony González (Junior) wins a free kick on the left wing. Foul by Daniel Muñoz (Rionegro Águilas). Attempt saved. Yimmi Chará (Junior) right footed shot from outside the box is saved in the centre of the goal. Assisted by Jarlan Barrera. Attempt saved. Leonardo Pico (Junior) right footed shot from outside the box is saved in the top right corner. Attempt missed. Yony González (Junior) right footed shot from the right side of the box is too high. Assisted by Yimmi Chará. Attempt blocked. Jonathan Ávila (Junior) right footed shot from outside the box is blocked. Assisted by Yimmi Chará. Attempt blocked. Yimmi Chará (Junior) right footed shot from outside the box is blocked. Assisted by Jarlan Barrera. Juan Camilo Pérez (Rionegro Águilas) is shown the yellow card for a bad foul. Foul by Juan Camilo Pérez (Rionegro Águilas). Attempt blocked. Teófilo Gutiérrez (Junior) right footed shot from the right side of the box is blocked. Assisted by Jesús Murillo. Corner, Junior. Conceded by Álvaro Angulo. Attempt missed. Yimmi Chará (Junior) right footed shot from the right side of the box misses to the left. Assisted by Leonardo Pico. Attempt missed. Rivaldo Correa (Rionegro Águilas) right footed shot from outside the box misses to the right. Attempt saved. Denis Gómez (Rionegro Águilas) right footed shot from the centre of the box is saved in the centre of the goal. Attempt saved. Jarlan Barrera (Junior) left footed shot from outside the box is saved in the centre of the goal. Assisted by Yony González. Daniel Hernández (Rionegro Águilas) wins a free kick on the right wing. Álvaro Angulo (Rionegro Águilas) wins a free kick in the defensive half.